Shanghai Yidian Exhibition Service Co., Ltd. is a professional servicecompany, dedicated to exhibition design and construction, props production,design and construction of museums, school history halls, corporate exhibitionhalls, corporate tour exhibitions, and the design of festival stages forvarious events. We do our business all over the world. The headquarter islocated in Hong Kong, with Shanghai and Beijing as the core branch offices. Wealso have branch factories in Beijing, Guangzhou, Xi’an, and Chengdu.This nationwide network service system can provide our customers with verticalservices. 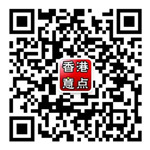 Our company was established in 2010 with a registered capital of RMB 8million. We have first-grade qualification in designing and building exhibitionstands. We have won a number of awards in our field and have an excellentreputation. We have more than RMB 100 million assets. The group management ofthe company enables coordination across our world markets including Europe, theUnited States, South Korea and the Middle East. We have more than 100employees, with 20 skilled workers. Both our designers and carpenters have morethan 10 years’ experience. Anincreasing number of our employees have at least bachelor’s degree.